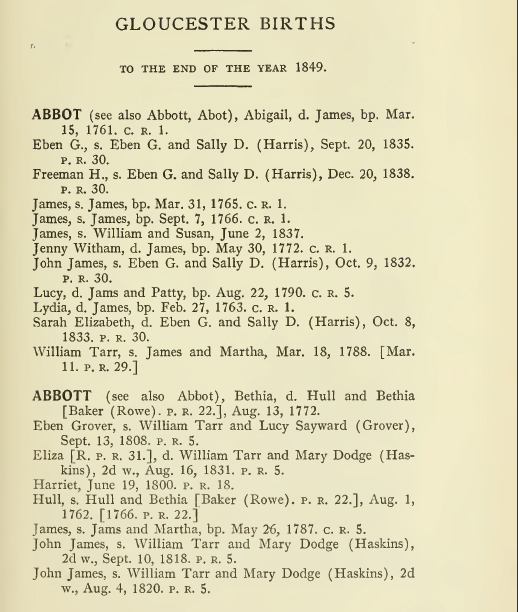 The Vital Records of Gloucester Massachusetts to the Year 1849 is a must have for genealogists. 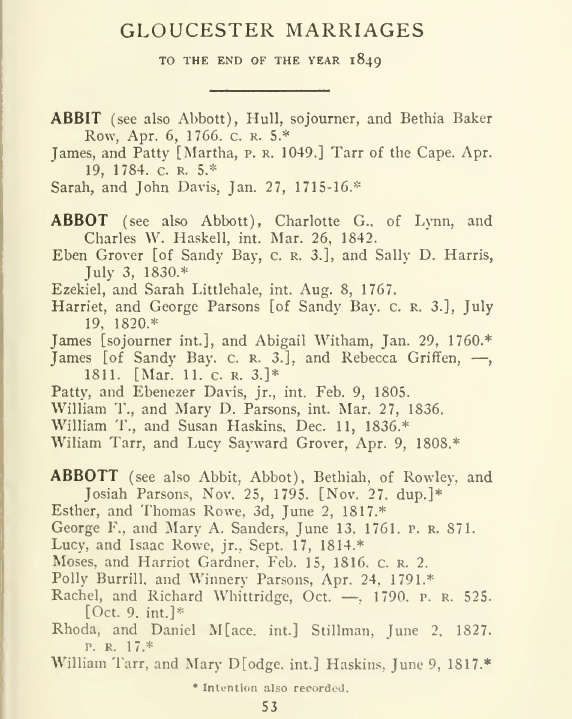 The two volumes are a comprehensive record of all the births, deaths and marriages in Gloucester , MA. 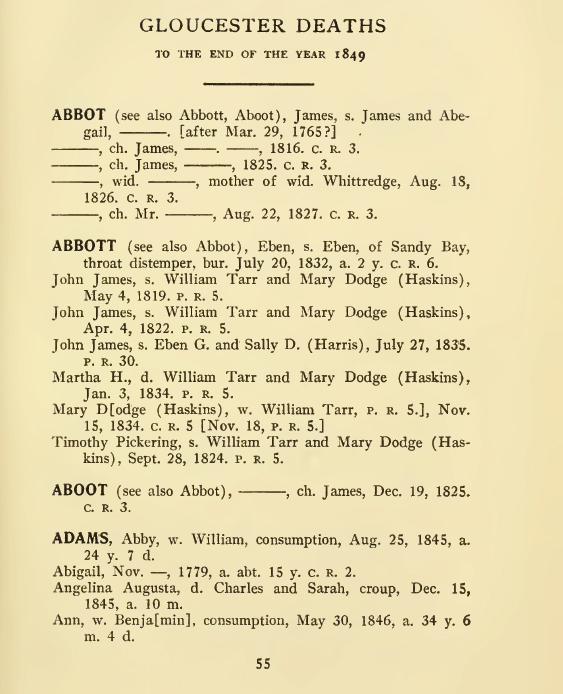 In addition to being a list of names, it gives relevant date and other details about the various important life events. The three volumes contain approximately 1700 pages of historical information.